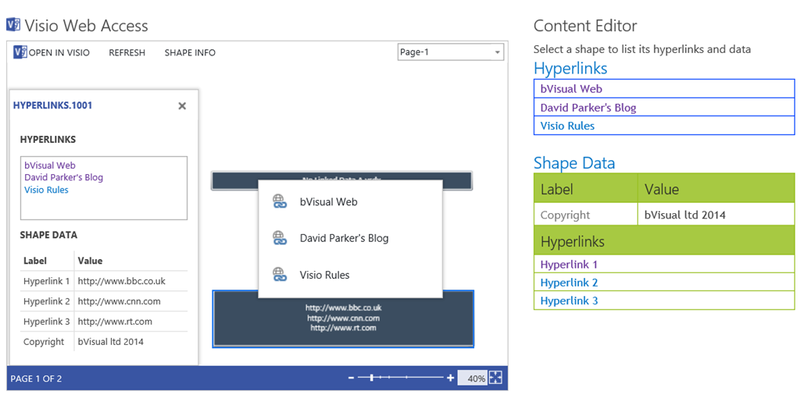 So, this means that I can do away with the Shape Info panel and the hyperlinks popup within the Visio Web Access control, and provide hyperlinks, buttons, images, media files, or whatever, in the Content Editor html document. 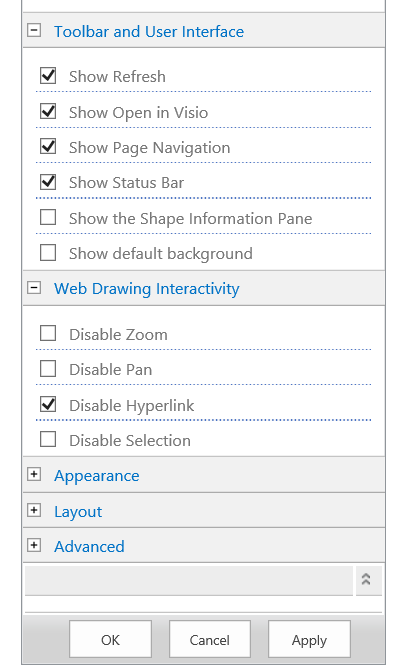 Therefore, I untick the Show the Shape Information Pane option, and tick the Disable Hyperlink option in the web part editor. Then you can remove the clutter over the top of my beautiful, complex diagram – . In this example, I included some optional style instructions for the html tables. Else write out label and formatted value. 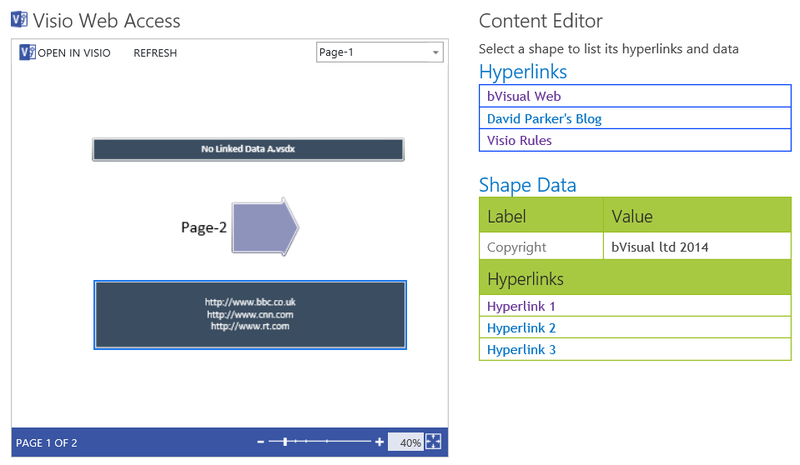 Visio 2013 added a new way for commenting, and these are also available for each selected shape, but I did not want to add those to this example.